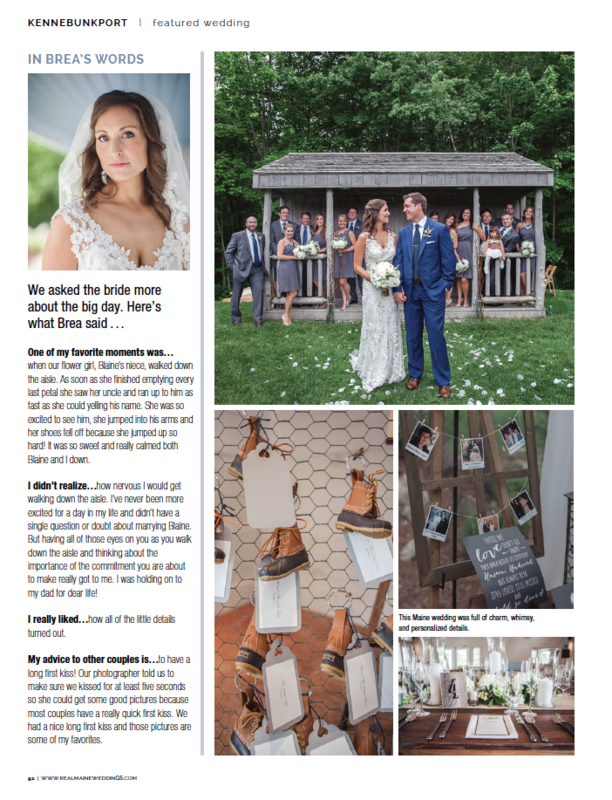 It is always exciting to receive new issues of our favorite wedding publications, especially when we see our work featured! 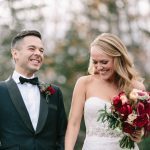 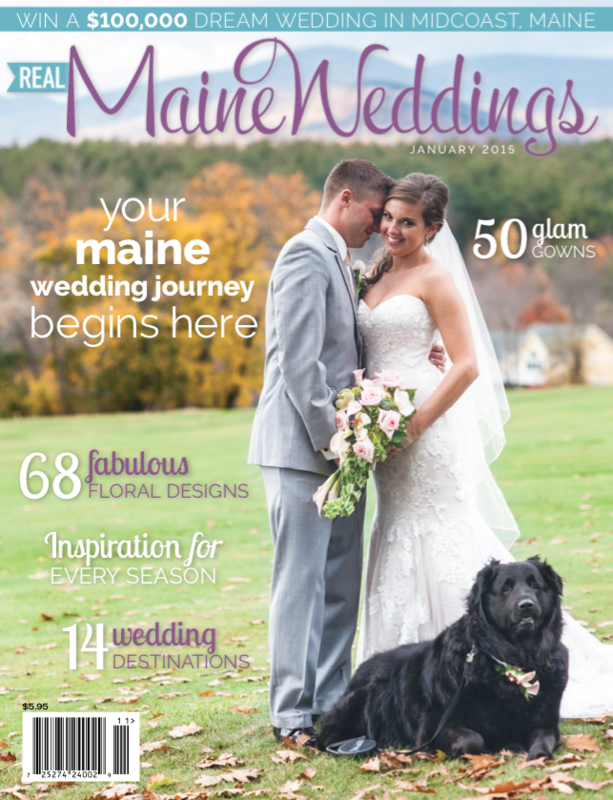 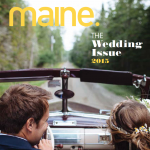 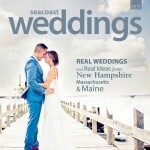 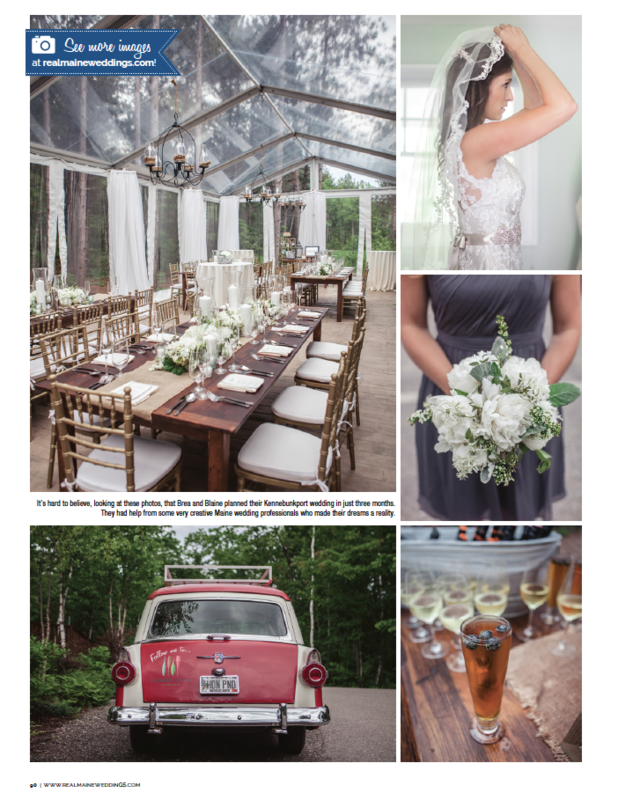 Below are the pages from the most recent issue of Real Maine Weddings featuring one of our client’s celebrations at Hidden Pond in Kennebunkport. 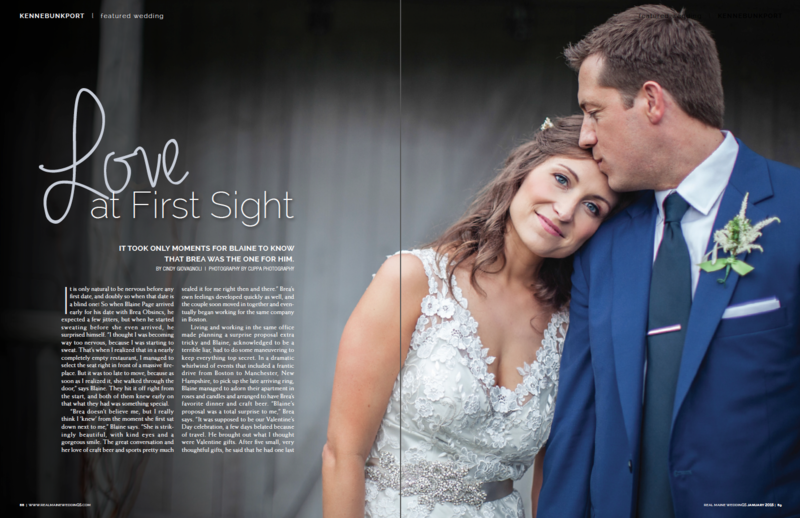 Soft, romantic, green and white- such a perfect accompaniment to Hidden Pond’s natural backdrop. 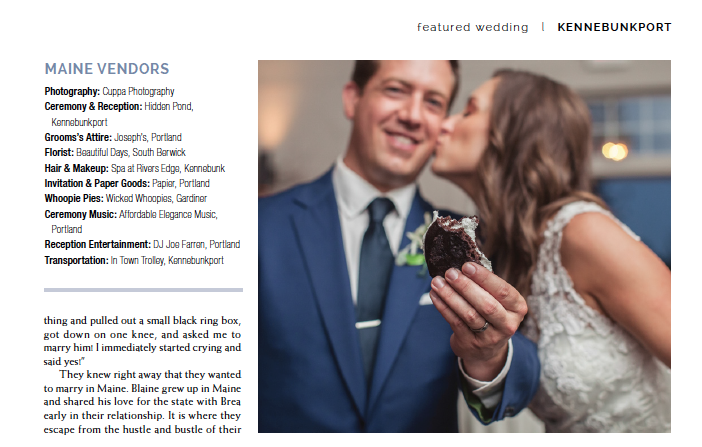 Congrats to Brea & Blaine!